Even though it’s still technically spring, the summery weather in LA has me thinking about backyard barbeques, cute shorts and bright colors. My closet is overwhelmingly wintry at the moment so I’m really looking forward to adding more summery articles, namely that cute striped tank from Madewell and those BC Footwear wedges. xoxo! The Essie color and the shoes are amazing! Thank Villy! The nail polish is “mojito madness” and the wedges are “Scowls” by BC Shoes. This is perfect for LA summer weather! It’s been getting so warm and I can’t wait to start buying bright summer clothing. 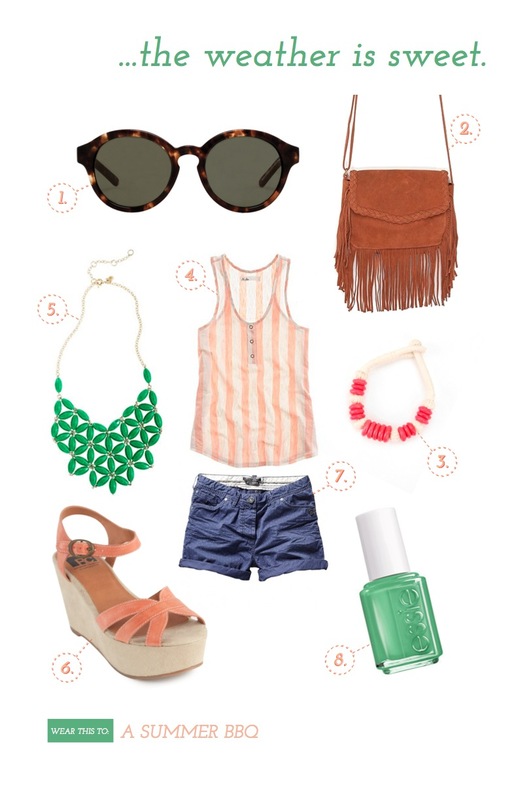 The madewell tank and jcrew necklace is super cute! Love the colors! You got me excited for summer clothes now.